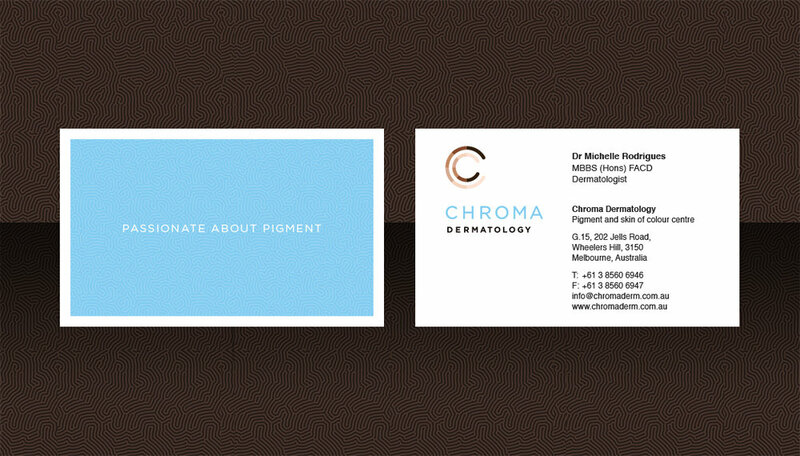 Chroma Dermatology is a brand of dermatological services relating to skin of colour (i.e. non-Caucasian skin). The brief was driven by the brand strategy workshop that kick-started the process and we developed the name, the core branding and various other collateral.